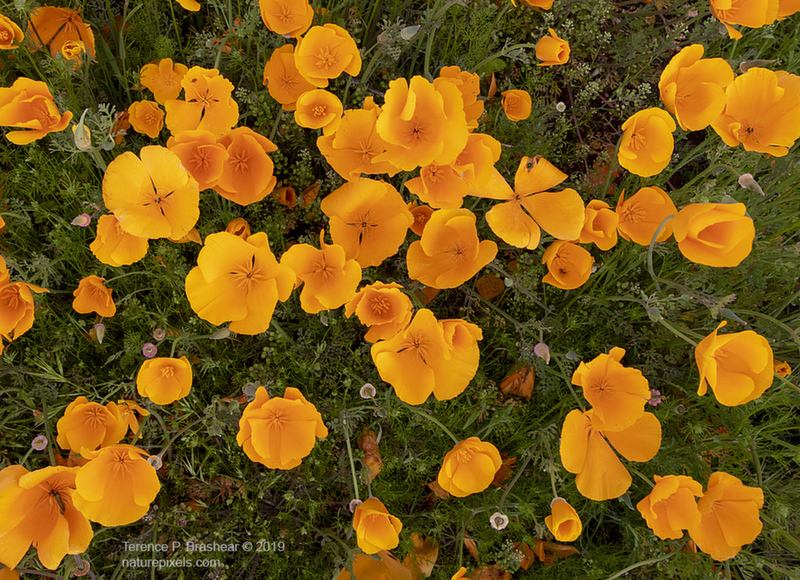 Overhead shot of California Poppy taken this past weekend near my house in San Diego. Lots of rain in Southern California this winter means the native flowers are blooming in full force right now. Canon 7DMKII, Canon 16-35mm f/2.8, ISO 250, 1/160 @ F/11. Lovely colors and a nice array of blooms. What a bright, cheery scene- love how you are looking down on this beautiful array of poppies. They seem to be springing up at you. Beautiful flowers. I like the top down view. Gorgeous, and perfect light for a subject that could easily have blown out yellows or muddy shadows. Good job!